When we review a paper writing service, we want to provide students with information about quality, privacy protection, guarantees and support. While Studentassignmhelp wasn’t the worst site we tried, they didn’t do a very good job of editing their site, so there are several grammatical and spelling errors that made us question whether the site could provide the quality we needed. The site serves a large number of countries and offers a decent number of services, but their policies aren’t very transparent. There is a disclaimer at the bottom of the home page, but it appears that a student would have to contact the site to get a copy of the policies and terms. We were relatively happy with the paper we ordered. The subject matter was covered but lacked creativity and in-depth research. There were a couple of punctuation and basic grammar mistakes as well. For a basic paper, this site is likely able to handle it, but for more advanced or longer papers, it might be best to contact another site. One thing we really liked about this site is that students from many countries can order papers from them. That includes the United States, the UK, Singapore, Australia, Canada, Germany, New Zealand, Ireland, Malaysia and many more. Price is major consideration for students when they decide to buy an assignment and Studentassignmenthelp offers fairly competitive prices. They don’t offer a pricing page on their menu like other sites, which isn’t very convenient. There are several academic levels to choose from, from high school all the way up to a doctorate level. The final price is determined by academic level, as well as the length of the paper and the deadline. Unfortunately, students cannot get a price quote on the site. They must fill out the form and then a quote is delivered via email or by telephone. This is definitely something that makes the site less appealing. There are several ways a student can save additional money ordering from Studentassignmenthelp. Ordering three assignments in 72 hours enables students take advantage of a 10% discount. A repeat customer can save 10% on the second assignment and 15% on the third assignment. While these are the only advertised promotions on the site, there may be occasional deals and specials that students can take advantage of. When filling out the quote order form, there is a handy place to input a discount code so students know right away how much they will save. There are a variety of freebies that students can take advantage of on this site. That includes a free table of contents, a free reference list and bibliography, free proofreading, free revisions, and a free title page. This is similar to what other sites offer. 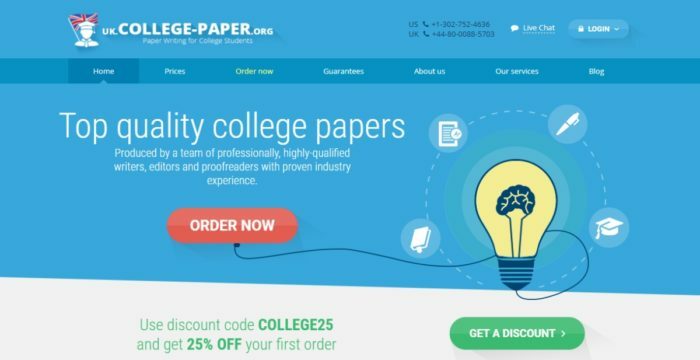 In addition, the site also a 100% plagiarism guarantee and each paper is checked for originality before it’s delivered. The easy payment system on the site is also a perk that students will enjoy. Overall, the site is decent, but may not be the best choice for advanced or complicated projects.